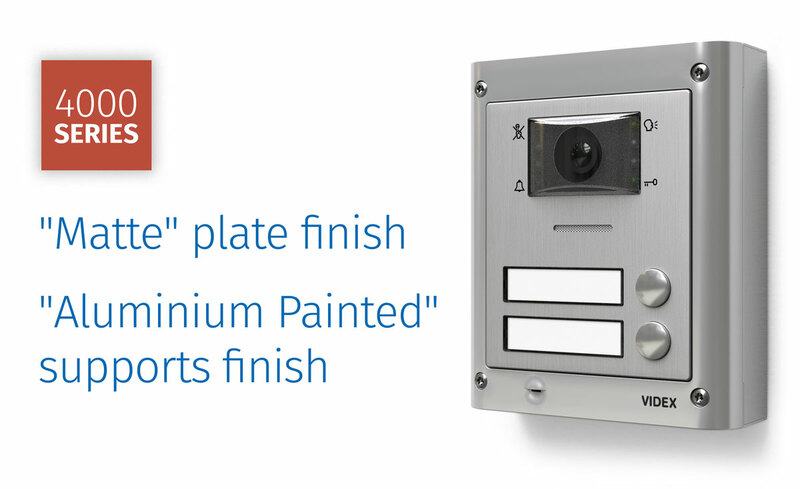 rainshields, flush and surface mount boxes are now available in the new "Aluminium painted" finish. This special painting gives an aluminium effect to the metal parts and door stations have a discrete colour which matches perfectly with any setting. Front plates of the standard line modules (non-vandal proof) are now available in the new "Matte" finish (brushed steel). This brushed steel finish perfectly matches the new "Aluminium painted" finish giving to the whole outdoor unit a modern and elegant touch, which suits perfectly the most sophisticated and important door entry system installations as well. In addition to the finishes, the 4000 series has also renovated materials; all the new "Matte" modules plates as well as analog and digital vandal proof modules plates are now in AISI 316 steel, which is highly resistant to corrosion and weather conditions.